New update of Amberlight 2 is out featuring new codecs and video formats, improved fields editing, calculation of estimated render time and many other useful settings. New codecs in v.2.1 include huffYUV, VP8 and the next-generation H.265. The first offers lossless compression by default, other codecs can be set with lossless compression in advanced quality settings of Final render dialog window. H.265 has a 40-50% bit rate reduction compared with H.264 at the same visual quality. With new codecs come new video formats: AVI and WEBM. From this version you can edit the position of keyframes directly on the animation curve. Keys are displayed as nodes, just easily grab and place them anywhere on the scene. To precisely edit the animation trajectory you can use the Edit Trajectory feature from the Scene Panel. Tangents of each key will appear. Each key has two tangents, left and a right. By moving tangents of a key you can changes the shape of the trajectory. You can download the update from our Download page. 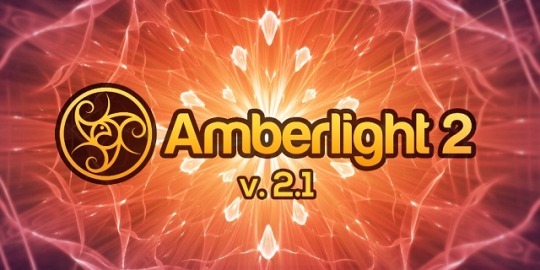 The update is free for all existing Amberlight 2 users. Find out more about Amberlight 2 on our website: amberlight.escapemotions.com or try free Demo.